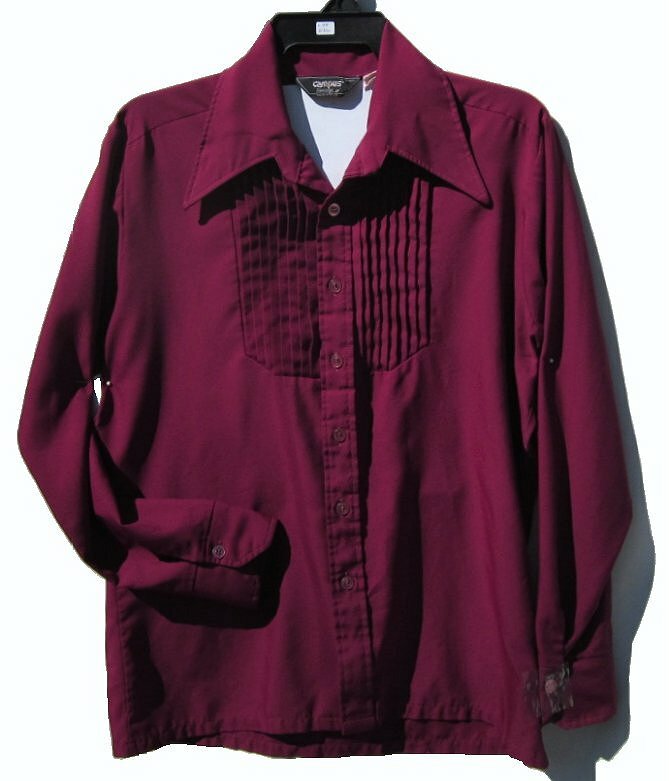 This lightweight original vintage shirt has a wonderfully large fly collar. It is made out of a lightweight thin polyester that won't stick if you get sweaty from dancing. The color is more of a Cranberry in person, not as dark as above photo. The vintage shirt by Campus was sized a L and should still fit a large in the chest, but maybe a M in the shoulder. It is 47" around for a 42" or 42 - 44 chest fit. It is 19 1/4" between the shoulder seams in back. It is 27 1/2" long. The shirt is clean. I don't see any imperfections, mild wear. Indicate under special notes when needed if less than 5 days.